After meeting with the Naturopath the other day at the cancer treatment center, I felt I'd been given a new arsenal of tools to fight cancer. 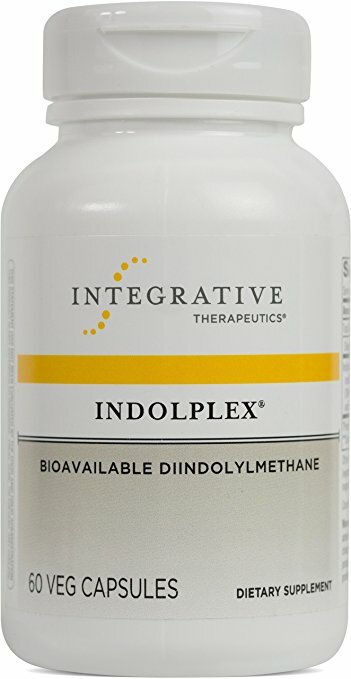 Among the supplements I've already been using, he suggested I try a few more including Meriva 500, Indoplex, and Cortisol manager. Meriva is a supplement that helps modulate inflammation and provide anti-cancer support. 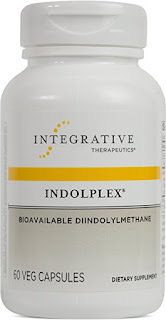 Inodplex helps support healthy metabolism of the body's estrogen. The Cortisol manager will help regulate Cortisol in my body and hopefully provide some much needed, good quality sleep. 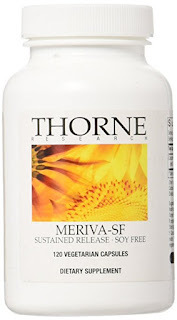 The Doc suggested I purchase these from two companies I was unfamiliar with, Thorne and Integrative Therapeutics. Both of these are online companies but they also offer the products at the onsite pharmacy of the cancer treatment center. I'm excited about these new weapons and hope to begin implementing them into my arsenal later this month. My kitchen cabinet is already lined with multiple bottles of natural supplements. Daily, I continue to take Vitamin D3, Turmeric/Curcurmin, Chlorophyll, Ashwaghanda, Fish oil, Vitamin B12, Calcium, Magnesium, and others. Sometimes it feels like I'm popping a supplement into my mouth every few minutes but I don't mind. I know I'm doing all I can to fight cancer in a more natural, healthy way. I'm also continuing to drink mega doses of Matcha Green tea. I was glad both the Naturopath and the dietitian agreed this was the perfect thing to do. I'm glad Amazon sells large bags of organic Matcha and I can buy it in bulk. By taking all these supplements, I feel I'm being a responsible and active part of my health care regimen. It's a good thing to be proactive. I wonder how many other breast cancer patients/survivors realize the importance of stepping up and working with their medical team? So many seem to only want to follow doctor's orders without doing any research on what they've been advised, but I want to protect my body and make sure I'm getting the very best care possible.